During a recent visit to Lopez Island, WA my husband and I made a stop at the Shark Reef Sanctuary even though we had already been there once before. Knowing this was a great spot to view harbor seals we welcomed the short hike once more. The trail brings you to the westernmost edge of the island looking across the Strait of San Juan de Fuca to the southernmost tip of San Juan Island. 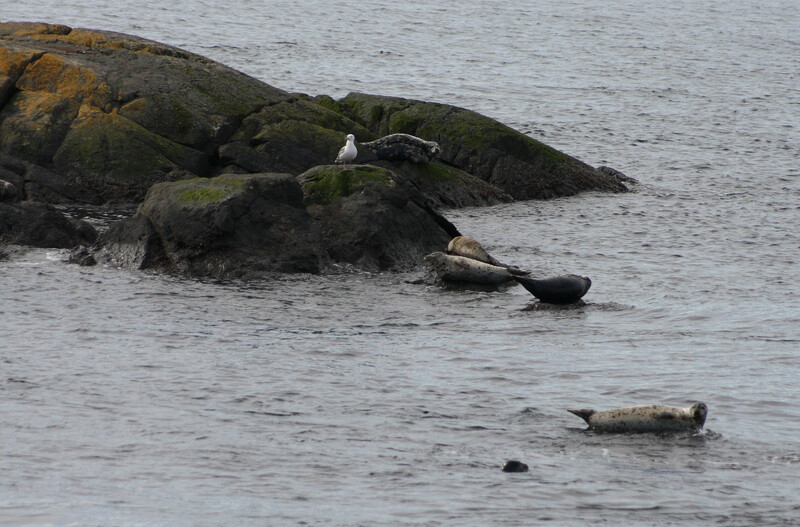 We were pleasantly surprised to find several dozen harbor seals sunbathing on rocks just off the coast. This location is perfect for wildlife viewing where we had the opportunity to see harbor seals, eagles, Canadian geese, seagulls, and other various bird species.